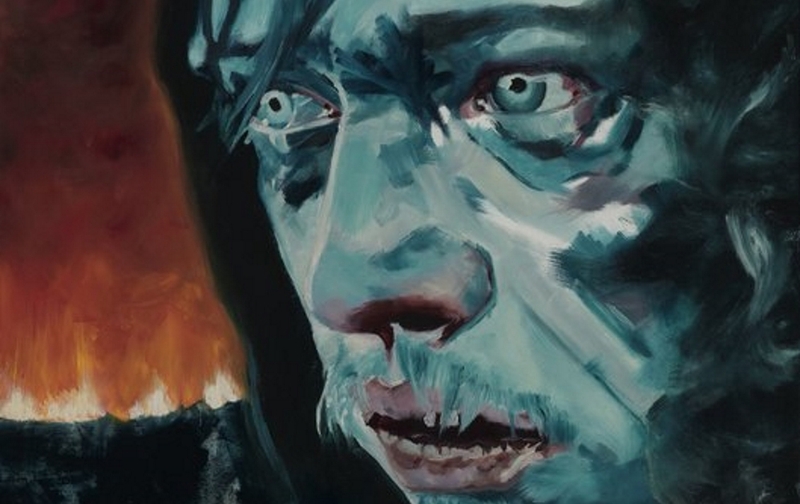 This striking hand-painted key art for Peter Brunner's latest, takes one of the most interesting visages, that of Caleb Landry Jones, and renders it in hand-painted abstraction, with emotion intact. Many of you are probably familiar with the hard-working actor who has a supporting and starring roles in features as varied as Neil Jordan's Byzantium, David Lynch's Twin Peaks: The Return, Jordan Peele's Get Out, Brandon Cronenberg's Antiviral, Martin McDonough's Three Billboards Outside of Ebbing Missouri, Sean Baker's The Florida Project, and Matthew Vaughn's X-Men: First Class. 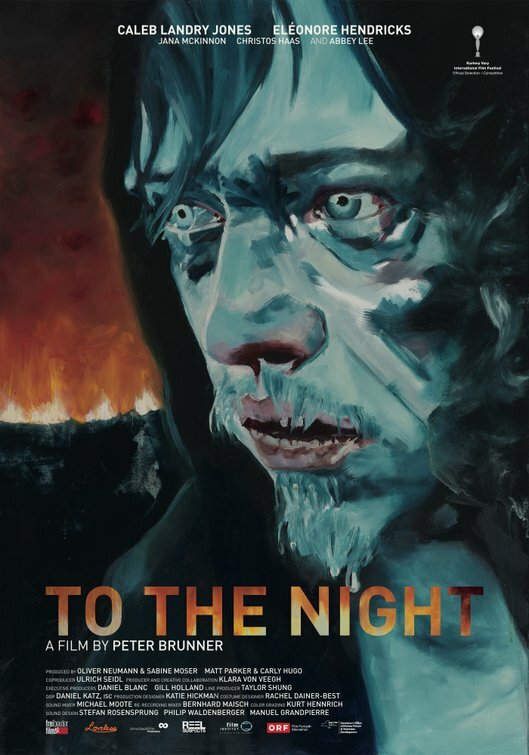 Caleb Landry Jones brings an unsettling edge to any project he is involved in, and the designers (who I have been unable to source) of the To The Night one sheet have an implicit understand of the power of a facial expression. Also included in this post is the trailer, which dropped a few hours ago - you can see the image which the artist re-envisioned for the poster.